i"m sanel from kerala .i brought this cell from kerala .then the shop man told m100 can download ring tones and wall papers but i cant find it.i need a case of m100 i asked various shops i cant get it.so please help me and reply how to ove come these mistakes. Benq M100 is a very nice set for it s price it has very good display and looks. in my opinion this cell is nothing but garbage, i have ono of these and i can not download images, or ringtones and i couldn't find the god damned cable...so...do yorself a favor...DO NOT BUY IT! 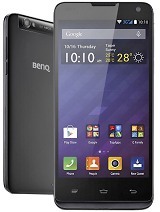 Benq is a great cell phone, but if U include some connectivity Feature like Infra which are common and GPRS Products It is more usefull. Please tell me how can i download wallpapers. I have this set from the last six months. i purchased it from haryana. It really working fine. But I can't be able to download any wallpaper but some downloading feature mentioned here. please assist me. Downloaded ringtones are slow in volume . Shoul include GPRS. rest fine. very good set but the main problem is softwear is not available plz include gprs mms infrared must b included if it is happen it will become universal. I really want to say that M 100 is third qualilty cell phone. But i accept that the ring tones from company are realy nice. I want to say the Benq company manager pls upgrade it and then send it in to market becauce it has no sound or wap features like other mobiles. My name is Mohd Bahadur khan, i stay at Hyderabad, India.I bought BenqM100, 15 days back, i was scearhing for headphones or microphones but did not get, i have asked the in the same shop where i bought the cell...he said he is not having.At one shop at Sec-bad, but he is coasting it to be around Rs.350, is thatmuch costly..
it is totaly west of mony. no wap,gprs. you also cannot download ringtones except send by other mibiles. no wallpaper you can download. no usb or data port. please dont buy it. just choose other one. Hi,the phone is very good quality & nice to handle.on thing is i'm using my yahoo messenger when m'i signing out ve preference to mobile device, i was using the samsung b4 this that time i got the messege's.but i'm not getting any messege from the messenger now(BenqM100).request u to give the advice to this b cause of the IMP. Hi guys I found this set is not as good as I/you expected. I found that a new msg come in when I am viewing the sms Inbox, lets say from Andy, it is not display as "Andy" but another person's name. I have to quit to the main menu and go into Inbox again in order to know who's the sender. this has caused problems to me as I has replied wrong message to incorrect person. sir after four month my set create problem , when i receiving calls one noise is coming from the set i cant understand what is this ? so please tell me the soultion. 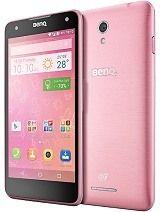 Sir, i have M100 It was very nice only by its look but the features r not good as other mobile has. how can i download Wallpapers. did this model has GPRS are not, if not how can i get it. can i copy any Data form my Computer, if so how can i do. Please reply Me Soon. Total of 114 user reviews and opinions for BenQ M100.